I’ve been remiss, and I owe you an apology. Why? I ask my clients, every day, to share their WHY with their audience and to go deep with it. I also encourage them to share the emotions BEHIND their story. It takes vulnerability and courage, and sometimes a big push. I never ask anyone to do or share something that I haven't done myself. But I recently realized... I haven't ever shared my WHY with you. I stopped immediately and had to take a breath. It dawned on my that I’d never said this to YOU GUYS before… I have never actually shared my WHY (and the emotions behind it) with the amazing people who show up and read these posts. I appreciate so much that you’re here! So today, I want to talk to you about WHY. First, we have to time travel back in time four years. Allllll the way to my second year in business, when I was still a newbie photographer. My then-husband and I made a difficult decision. It was time for a divorce. Suddenly, I had two months until we closed the joint checking account and absolutely no plan past then about how to pay the rent. Reality check: That year, I had made $9,000 in my business. You read that right. Or, I could find a way to make money in my business. Like, LEGIT money. Pay-the-bills money. Fix-my-car money. Build-a-future money. Save-for-retirement money. MONEY money. Obviously, I chose to stay in my business. But it took years to figure out how to turn a profit. It wasn't a pretty time. These years were filled with worry. There was a lot of crying because I thought I might not make rent; taking photo jobs from people who were rude and treated me as less-than human; wishing I could update my wardrobe or get a haircut; and wondering how everyone else was doing it—making legit money, charging high prices, working with awesome clients and THRIVING. It was through many (many many many) trial-and-errors that I finally figured out how to bring in clients who made me excited to work, charge prices worthy of my skills and actually turn a profit. And after all those years, when I could finally see the light at the end of the financial tunnel, I promised myself one big thing: NEVER AGAIN. I promised myself that I would never again put my financial well-being in someone else’s hands. Do I want a billion dollars in my bank account? HECK YES. Am I going to be the one who put it there? YOU CAN BET ON IT. After this realization of "never again," I knew my why—the reason I’m driven to support creative women in building their empires as a creative force for their industry. I don’t want any women to ever be in the position I was in—a position of no options, of constant stress and strain, of staying up late trying to squeeze enough pennies to pay the bills. 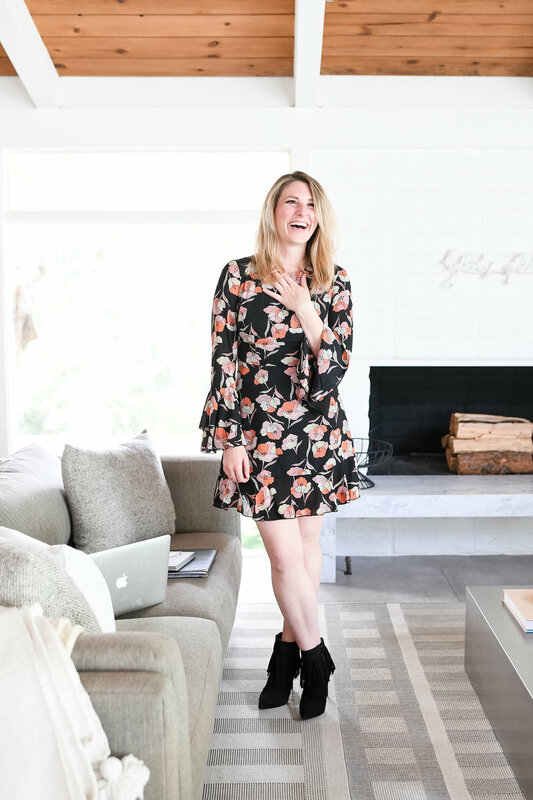 Here's WHY I do what I do: To empower and inspire women by giving them tools to build a profitable, successful business that feels authentic and exciting. You CAN stand out in your market. You CAN make money by leveraging your special sauce. You CAN build your dream business. This is the power of purposeful brand photography. The dreams you have, they come to life in photos. And my special sauce? I translate your vision into images in a way that is UNIQUELY YOU, so you can connect with your audience on a deeper level, build trust, and convert them to clients. Let’s talk. Email me at hello@courtneypaigeray.com. And don’t forget to share YOUR why with me in the comments. Thank you for being here, you amazing, creative human!